I love manly things with a care for style. Like this Charlie Knife by Son of a Sailor in Austin, Texas. It's a small folding knife that comes in six color choices, inspired by signal flags. 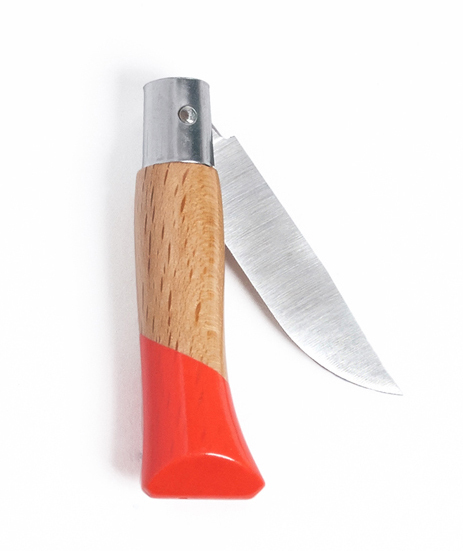 Handcrafted for rugged, everyday use, each knife has a beech wood handle and stainless steel blade. Billy Knopp and Jessica Tata are the talented husband and wife team behind the brand. They have a similar aesthetic and are drawn to wood, leather and brass. They also have a keen eye for color and minimal, geometric design. 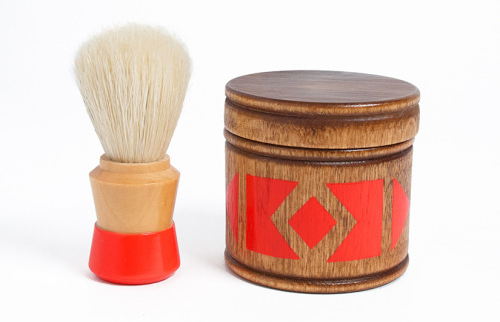 This Victor Shaving Kit is just so fun and cool, right? This pretty pic showcases one of Billy and Jessica's India knives, plus their hand carved walnut cheese board. It includes a genuine leather handle with a brass screw rivet, a nice touch for easy storage. The London Valet caught my eye too. Each one is hand carved from a single piece of walnut and is built to prop up your phone, store your change, letters and things. 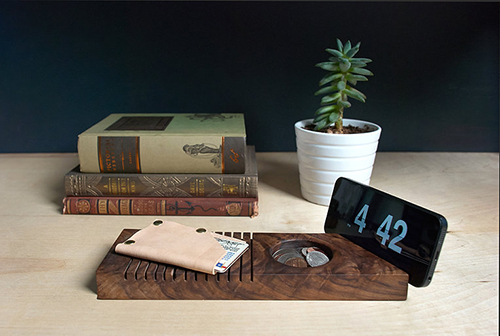 I've just picked a few of my favorites but check out their shop to see more manly (and womanly) things made with a care for style- which includes jewelry, clocks, flash drives and yo-yos.